American dancer, actress and TV personality, known for the series Dance Moms. Her model agency listed her in 2017 as standing at a height of "5'5.5" and she has claimed to be 5ft 6. She can look 5ft 5.5 range, which she may well have ended up. Yeah I doubt over 5ft then. Do you think we might see some of the other girls from Dance Moms on here? There's not many on the site, I did update the 'you may be interested' on this page for the few who are listed. 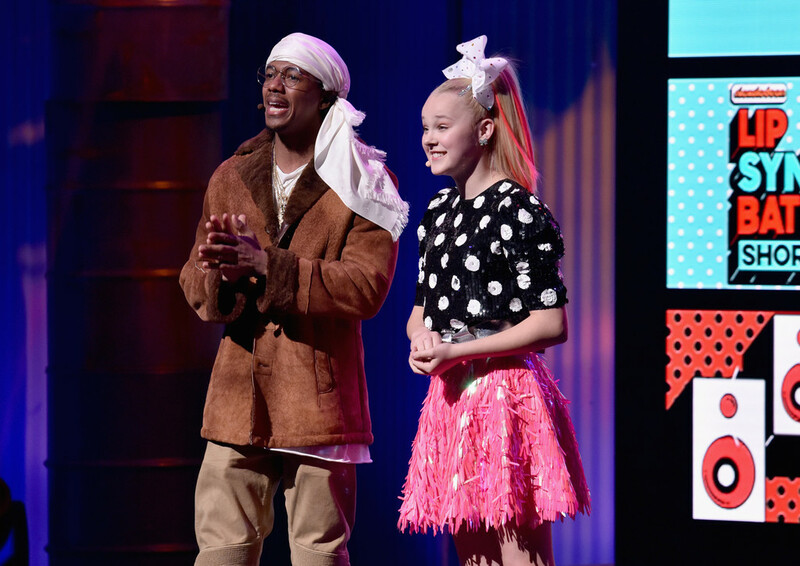 How tall do you think JoJo Siwa is? She claims 5'9 but she seems miles off???? It seems rather optimistic, I wonder if she's actually measured recently. About 2-3 inches shorter than Alexis Ren. Easily a 5’6 going for 5’7. If you see the latest pictures posted in Summer McKeen’s instagram, who claims To be 5’6, both área barefoot on plain surface, and Maddie looks an inch or two taller than summer. I think she is a strong 5’6 now. Could she be taller by now or do you think that she’s still 5’5? Not looked at her for a while now, but I will at some stage check again to see if she gained anything. Would be very surprised if she wasn’t 5’6” at the very least now. 5’7” would be my guess based on recent photos on her Instagram. Not sure if there’s proof to put her that high but she’s taller than 5’5”. @Height revealer I'm pretty certain those accounts are merely people impersonating them, but I do believe Mackenzie to be 5'3". As for Maddie, I feel she looks more of a strong 5'5" or a weak 5'6". Compared to others, like this image for reference: Click Here , she does not appear to be 5'7". real proof as in if they are official accounts or not. Thoughts, Rob? I’d say she looks around 5’3-5’4. And also, she just turned 14 years old a few days ago, so she might grow a little more. Her friend could be 3 inches (or close) taller, so 5ft 3 range just now is possible. Hey Rob how tall would you say her co-star Jaeden Lieberher is who stars with her in the Book of Henry? And now her IMBd profile says 5’6.5 (169 cm), which might be a tad bit of a stretch IMO but whatever. I think she’s 165-166 cm. So, an upgrade to 5’5.25/5’5.5 could be taken into consideration? I mean, like you said, it’s not impossible. She probably hits the 166cm mark in the morning, doesn’t exactly sound like she will claim an inch taller for no reason, maybe when she said 5’6, she was probably still 5’5 and a half and was rounding up to 5’6. Some people mistakenly do that. I showed you a video I posted on Bailee Madison’s page where Chloe said she’s 5’7.5 and used to say 5’8 and says 5’7 now. Also, another thing I found is that on the site you created for Victoria Justice, who listed as 5’5 or 165cm, she hits the 5’5 mark in the video someone showed you, and she came up to that height in shoes, rather than barefoot. Are you listing their heights as morning or evening? 5ft 5.25 may well be possible for Maddie, I will have another look in the future to decide if over 5ft 5 is a best fit. Marc the Rocker yeah my personal opinion I believe JoJo could be borderline 5'8, and her mom somewhere around 5'9 1/2, from the videos and pictures of jojo I've seen in Walmart and Target standing next to shelves, I could see myself a little over an inch taller than her, (at 5'9 1/2) she does indeed look tall and I wouldn't doubt 5'8 but I definitely think 5'8 1/2 or 5'9 is definitely a stretch, when she said in that one video she's 5'8 1/2 she might have been talking about her height in shoes. definitely seemed sure she is taller then 5'7 let alone 5'6, and I would guess the Converse shoes that she wears only add about 1/2 of an inch. and I've done some research into those kinds of shoes, a lot of people say they add almost nothing in height. and 95% of the time you will see jojo wearing converse, just look at videos, pictures, you'll see what I mean. that video I sent you with Kalani and JoJo, I said the timestamp was 5:05 but I took a screenshot of the exact moment I was talking about, Click Here I'm not arguing or anything I wanted to show you a screenshot so you know what I was talking about, a second or two before that jojo could look barely 3in taller. Brandon, she’s even a lot taller than Kira as well, and Kalani said in an Instagram livestream that her mom is also 5’4. It kinda makes sense that Jojo is tall-ish. Her mom is tall (2nd tallest of the moms on Dance Moms, right behind Holly at 5’11/6’), and so is her dad and her brother. 5ft 5.5 isn't impossible for her, but I wouldn't go above that. Yeah but like I said JoJo seems to wear shoes that don't appear to give much height, Click Here to get an idea what she wears often, she wears Converse shoes a lot, So I doubt jojo had an advantage in height, but I think in that video she's a solid 3 inches taller, also unrelated but have you ever heard of this height comparison tool? Click Here I tried showing you on your youtube channel but it would not post, it seems pretty accurate and useful. Generally I wouldn't go above 5ft 6.5 for Jojo...the other girl of course may well be rounding her 5ft 4 'doctor claim' up. I think Maddie is still shorter than Jojo. 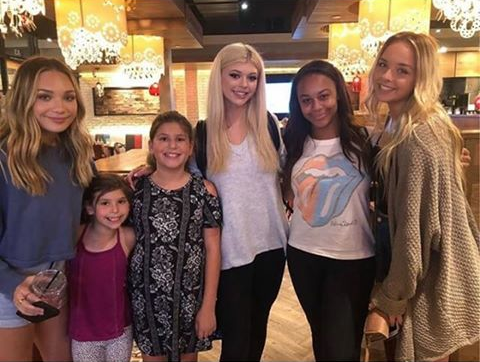 I saw you have Kalani Hilliker at 5'4, there is a video from last November with JoJo Siwa standing right next to her, Click Here at 5:05 Jojo's eyes are about at the top of Kalani's head, or just a hair under, so assuming Kalani is 5'4, JoJo would be 5'7.85 or 172.3, and I'm sure JoJo has grown a little since then, and obviously can't see what shoes they are wearing but Jojo typically wears pretty flat shoes, And their posture I guess looks pretty good, and Kalani said she was measured at the doctor as 5'4. She could look about 3 inches taller there, without knowing if either had bigger footwear or not. Well, she seemed sincere enough...whether barefoot or not? She can look anywhere from 5ft 3 to 4, maybe I will add her at the claim she made! 169 would be the most I'd give her...at that event there's the guy from the Tick who claimed 5ft 6 and Kat Graham. She is almost 15 so I should give her a page soon. With that said, she’s at least 171cm (strong 5’7) minimum, if not 5’8. Would you agree? Don’t let the “bows and dresses” aesthetic fool you into believing that she’s shorter because she’s obviously much taller than 5’6. She posed with Colleen Ballinger (who you have listed as 5’6 here) in this picture (Click Here) and she came off as being a bit over an inch taller than her there. She looks Several inches shorter than Nick. I'd rule out anything above 5ft 7, I can still see her somewhere in 5ft 6 range. But then she might still end up 5ft 8! At 30:18, Kalani said she was measured as 5’4 at a doctor’s appointment, and at around 31:12 or so, Chloe said her mom used to be 5’8, and is now 5’7. Chloe is also claimed to be 5’7 and a half. So pretty much, Chloe is 171cm, and Kalani is 162cm (and I’m going by how tall they are during the evening, not in the morning). I guess you thought Chloe was 5’8 because you thought her mom was still 5’8, but she said that her mom has lost some height. And also, at 30:40, Kalani said “you guys are just above average,” which means she was also referring to Kendall, meaning she’s most likely 5’6+ range. I also wonder what Rob’s thoughts are on this, like if he thinks that they’re accurate or not. He should make pages for the other dance moms girls like Chloe, Kalani, Kendall, Paige (who oddly enough is listed as 5’8.5 on most of these sites lol), Nia, Jojo, etc. Rob, by any chance, are you going to make a page for all the other dance moms girls? I’m seeing Kendall Vertes as 5’8 on google, and Chloe Lukasiak & Nia Frazier both as 5’7. Would you agree with any of those listings? If not, how tall do you think they are in cm? I haven't yet had time to look at other dance people, though I understand their popularity. Rob, you should make a page for Jojo Siwa. I really don't know what could be her real height. On google it says 5'7 , but in her most recent video she said, that she's definitely not 5'7 but rather 5'8.5"-5'9"
I wouldn't believe her as being that tall, more 5ft 6 range. @RMD That's interesting because in the last year, their listed heights have changed quite a bit (for their ages): Chloe from 5'7" to 5'9", Nia from 5'5"/5'6" to 5'8", Kendall somewhere between 5'7" to 5'8", and Kalani from 5'4" to 5'5.5". When stacked up against their guessed heights, it makes me wonder where those numbers came from. @ Nik - Guess what? I very nearly lost that one as well! I would have been so disheartened! I will doubtless be back to fill in what I missed from the comment that went for a burton! One of the things I said was that I lost a comment when I was writing to you on Rob's page before Jim picked me up to take me to get my 'script! I will get round to writing to you on his page as soon as my stupid phone allows! I guess I have to be grateful that I've managed to write on this page! @ Nik - Earlier on today, I had to go to get a prescription and Jim was kind enough to drive me all the way there! They had me wait a whole hour, so I told Jim to go home instead of waiting like a moron! I decided to get my fingernails done to kill the time; they bloody needed to be sorted! Well, I drew out some money, drank a miniature bottle of wine as I had no painkillers and alcohol does actually help as a last resort! The girls in the nail bar were so nice as they let me get them done in two sessions! I had to go back at 4 o'clock for the 'script! Afterwards, I took a cab to the chemist, and got the painkillers, then another one home! Here I am now absolutely exhausted but over the moon to have the essential little white tablets and a smart set of red nails! @ Nik - Oh no! I just lost the second part! I was explaining how I had written to you earlier on Rob's page and lost that as well! I also sent you these for worrying about me: XXXXXXX! If ever I go missing again because of my phone, I will try to get somehow to the library and use their facilities to let you know! NOW THIS WILL GET SENT! !!!! @ Nik - Yes it certainly is, but it is so hard to judge! Mine were nearly 3 and a half inches! I have just come in from chasing around to get painkillers! I had to get a script first, then take a cab to the chemist! What a day! The key to working out her height is knowing how much heel she has got on and that is very difficult to work out from the above photograph! My gut feeling is that she is somewhere in the 5'5" - 5'5.25" range! Well if you predicted 5'5" after the upgrade then it was a pretty quick upgrade as your comment was one of the first ones! that and they are a whole lot higher than they seem at first glance! They were my favourite pair for a long time and very easy to walk in! I have returned to this page after originally posting a comment soon after Rob had set Maddie's page up! I notice that Rob has given her an upgrade of 1/2 an inch and I must say that on observation she does look every bit 5'5", but no more! Well I say that but I could be persuaded to add on another 1/4 of an inch to my new 5'5" estimate but I will stick at 5'5"! I read your comment from 2 months ago today and I would be interested to know if your 5'5" estimate came before her upgrade or after it. For me 5'6" is too high but 5'5" is fine! I like her hair and shoes! Agreed on there not being enough proof, yet. There it is Rob. Time for that upgrade, along with her stating she is “5 foot 6”. I've not seen enough to think she is 5ft 6 yet, although 5ft 5 yes I can see that. Rob, there is no reason to assume agencies just add an inch without background information. She was claiming 5’5” and then 5’5’ 1/2 a year before she was even part of the agency. With that said she is at least 5’5”. I don't think she's that short. She's around 166-67 cm I guess. btw yeah, I'm the same ur guess 5'4.5-5'5" range! Maddie's a super beautiful girl! How about the other dance moms girls? How is this girl only 15? She looks several years older. Most girls stop growing 2 years after the onset of menstruation, unlike boys who stop growing around 18 for the most part. I can remember an actress called Matilda Ziegler and she used to make guest appearances in the comedy series 'Mr Bean'! In comparison to Rowan Atkinson's 5'11.5", I reckon she looked around the 5ft5 mark, and she had the same colour hair and a similar face! Oh well, just a coincidence, but a nice one! It is hard to say whether Maddie is half an inch under or over 5ft5! We can't see the heel on her shoes - which look great and if anything like mine, they are really comfortable and add a cool three inch bonus to the height! I shall give this gorgeous girl with plaited light brown hair 5'5". Is this the girl from the Sia videos? I guess she looks this height. Rob,will she grow in near future?And how much is possible? Editor Rob: her Mother claimed to be 5ft 3.5, she is 15 now, so still may add a little more, I will check next year to see if she gains more. Hillary Clinton listed peak height: 5'5.5"
Hillary Clinton listed current height 5'4.5"
Maddie Ziegler model agency height: 5'5.5"
Maddie Ziegler listed height: 5'4.5"
Such a beautiful girl,hell she's already that beautiful at 15,didn't realize she was that young tbh,well on this pic.Would be interesting to see how she will look when she will be 20. I like her hair and her shoes! I think that Rob is accurate in quoting 5'4,5" for her!